I was born at the end of the world, although I did not know it at the time. Floods, famines, plagues, collapse of governments. The end is nigh. To not be registered is to not exist, their deaths not counted by those left in charge. With millions left struggling to survive, the human race is teetering on the edge of extinction. One man, Michael Paul, has a vision. He will build a ship and populate it with the best for humankind. 500 people, who will leave to go to a better place. Among them, his teenage daughter, Lalla. I would have preferred The Ship to be told from multiple perspectives. Lalla, is actually an incredible realistic portrayal of a naïve and idealistic teenager who doesn’t know any better, but she’s not necessarily someone I want to read about for a whole book. I was more interested in the stories of before, the little observations that could so easily come true. Told from Lalla’s perspective, her father starts to appear as a figurehead for a kind of cult. From her point of view, everyone blindly worships him and she doesn’t understand their eagerness to give up the past. If you take away the context, it does seem that Michael is preaching some sort of lifestyle choice, although the lack of choice is a big part of their circumstances, something Lalla has trouble accepting. Could time be measured in the books you had read and the books you had not read? The people of the ship have seen awful things. They have been starving, their loved ones murdered by the state, or just merely wiped out of existence. Lalla has been incredibly sheltered by her parents. She obsessed by the things she doesn’t have, that she will never see an apple or an orange. She wants to make her own choices in life but she can’t. The others have chosen this life, but she hasn’t and she feels hard done by. On one hand, her owned planned out future is a bit creepy. Michael is built up to be the bad guy in Lalla’s mind, he must be up to no good and keeping secrets. I might have agreed with Lalla that they were being indulgent on board, but I don’t think people would choose to go back and share their food with those left behind. How often does the average person stop and give a homeless person something to eat, despite them having plenty themselves? Lalla thinks it’s as easy as turning the boat round and handing over the food, but that’s not human nature. She was his wife before she was my mother. And for the first time, I caught a glimpse of a world beyond myself. So Lalla’s melodramatic thoughts overtook what was otherwise a well-written book. The idea of a ship as a safe haven is a good one and that sometimes being safe is better than having the whole world ahead of you. I’d like to know what happens next but Lalla would have to grow up a bit more for me to love her narrative. 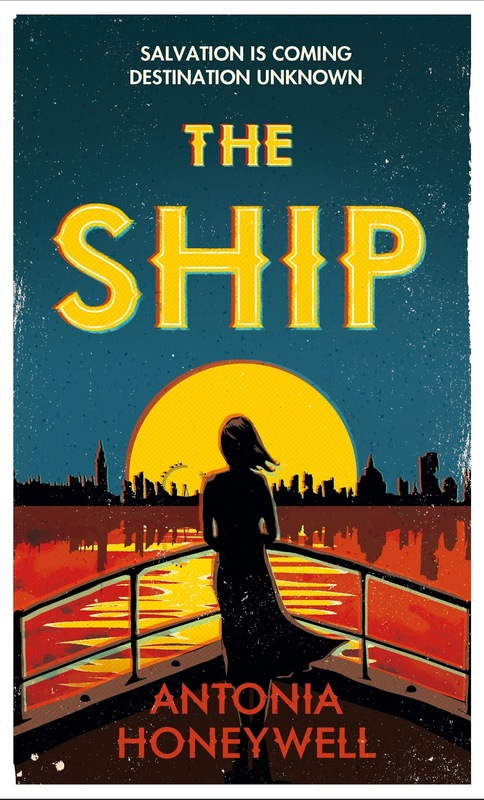 The Ship is published by Weidenfeld & Nicolson and is available now in hardback and ebook editions. Thanks go to the publisher for providing a copy for review. Interesting point you raise about the viewpoint. I tend to prefer single viewpoints rather than multiple ones, but it does sound like in some instances a balance is required.